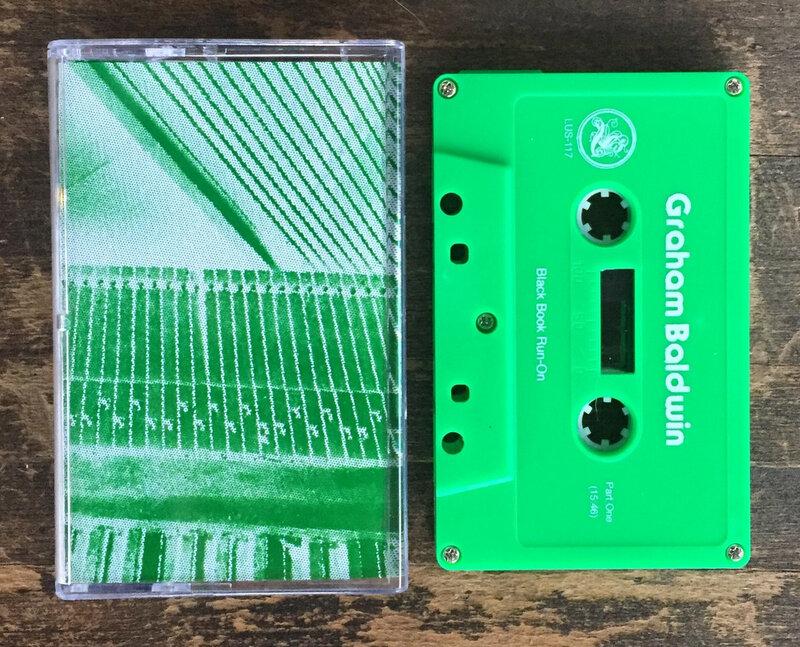 Graham Baldwin, guitar purveyor of the mighty BLOODWALL, conjures walls of leaking blood on this improvisational two-part meditator. Well, the walls aren’t really leaking blood, and Baldwin’s atmospheres are a lot less stressful than walls leaking blood would suggest, but to say that Baldwin crafted these pieces with anything less than his own sweat and blood would be an understatement. So let’s call it, say, “bloodskin” music, or “blood vessel” music or something, because the blood is actually staying under Baldwin’s skin and in his blood vessels and not leaking from the walls or anything. 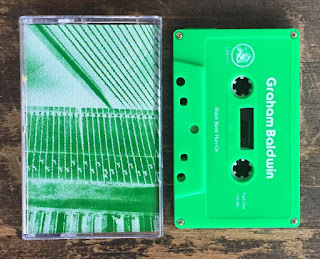 Back here on planet Earth we dive into “[t]his recording[, which] was made using a micro-cassette recorder to capture musical scenarios with various instruments, radios and electronics, performed on a semi-daily basis over a two-month period in the Summer of 2013.” I’ll tell you what I was doing in the summer of 2013: wrangling a two-year-old. Certainly not crafting space moods with guitars and electronics and strings and whatnot. I probably could have used that sort of Zen space. But I’m good. The pieces, stitched together, form a unified whole that moves from fragment to fragment and side to side with ease, the transitions left unsmoothed for maximum tactility. We like that kind of stuff here – keep the frayed edges, the process blemishes, the hiss, the fuzz. That’s what I always say. Fortunately I’m writing about music and not building houses or anything – can you imagine if I applied that line of thinking to laying a foundation?! Process blemishes… I’d be fired for sure.